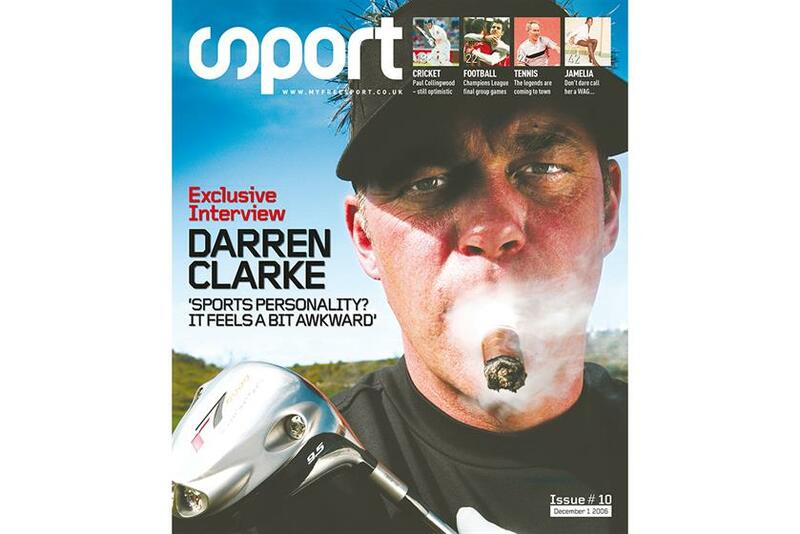 Sport, the free magazine owned by Wireless Group, is celebrating its tenth anniversary tomorrow. The very first issue, which always takes me back. 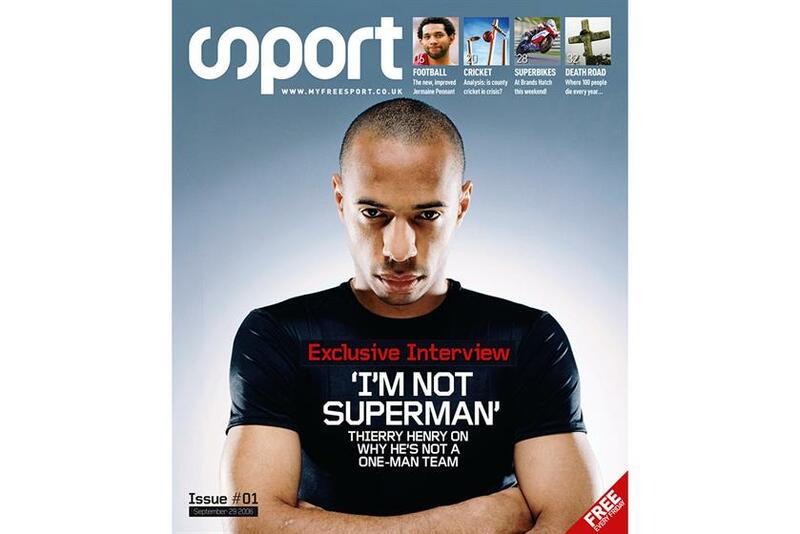 At the time, there was probably no bigger name in British sport than Thierry Henry. It felt like the mag had started with a bang. Back in 2006, Clarke – the Ryder Cup captain this year – was the hero of a Ryder Cup win, having played just weeks after the death of his wife. Our then French owners hated this cover – they didn't like the cigar. A raw, intimate portrait of one the nation's favourite but most fragile sporting heroes. It needed no coverlines, so we left the image to speak for itself – and it won the inaugural PPA Cover of the Year award. A really fun cover ahead of the 2012 Ryder Cup – and it turned out to be prescient, as Poulter became the European figurehead for one of sport's most amazing comebacks. Murray winning Wimbledon is perhaps the single biggest British sporting moment of the magazine's lifetime. This cover shot felt perfect, and the lines wrote themselves. Female cover stars have become more regular over the years, in line with the growth of women's sport. Jessica Ennis-Hill, to many the female British sporting icon of the era, has graced more than any other sportswoman. We have worked with renowned illustrator Noma Bar on a series of covers relating to our biggest football clubs. This one came at a time of crisis for Manchester United – simple yet clever, and superbly executed. October 2014, and rumours of Muhammad Ali's rapidly deteriorating health led us to run this brilliantly penned cover feature by deputy editor Alex Reid. The cover was run on special glossy paper, which accentuated the strength of the image and the man. Ali lived on for 18 months after this. As a huge horse racing fan, it was nice to give the sport its first cover with its most marketable star. Frankie Dettori was in great form on the day, and gave us a really fun but striking cover image. Former editor Simon Caney came up with this cheeky idea ahead of a Rugby World Cup quarter final against England – presenting the Wallabies' dangermen as wanted criminals. England won the game, pleasingly. The title was the first to take up a model that relied solely on advertising, and was then followed by ShortList and Stylist. 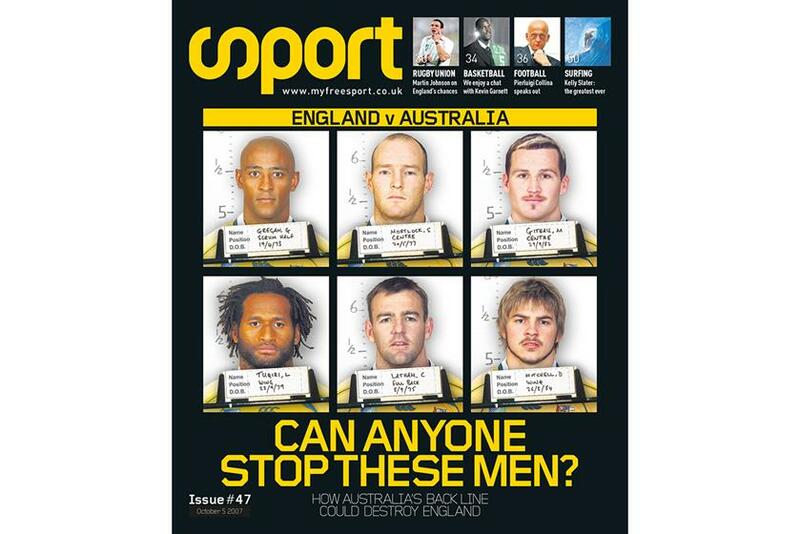 Tony Hodson, editor of Sport, looks back at his favourite covers over the past years [above], which include stars such as Thierry Henry on the first ever issue, Andy Murray when he won Wimbledon, and Olympic track and field champion Jessica Ennis-Hill. The issue out today celebrates the past ten years and reveals Gareth Bale as its most iconic footballer of the last decade. Ennis-Hill has been named the Top British Sportswoman of the past ten years. Readers can choose from the two covers. Speaking to Campaign, Hodson said that it is a "hugely exciting time for the magazine" as its owner Wireless Group is in the process of being acquired by News Corp. He said: "We’re going to have an owner that’s established in print. They have two strong print brands, it’s exciting to have access to that talent. It’s a chance for us to show what we can do in the free market." Over the past ten years, he explained that it has become harder to work with brands because there is more competition in terms of media owners. He said: "It probably has got a little bit harder partly because brands want a bit more and partly because there are now more places for them to go, digital particularly. "Ten years ago print titles weren’t competing with as many alternative media owners on different platforms. Now you might find a vlogger who has half a million followers but it’s about delivering what brands like and good content."